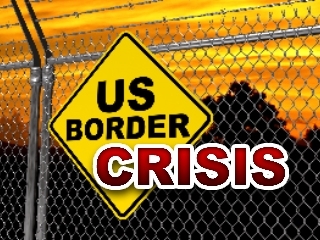 "The problem is as I see it and as apparently Centers for Disease Control, Health and Human Services and Department of Homeland Security are trying to make this a controlled situation, they are anticipating a large national crisis. When you see that FEMA is preparing for 200 million deaths in the United States, that tells you something. When you see that the government is controlling the supply of ammunition and that basic medical supplies are in short supply in southern Arizona, something's wrong. They are anticipating something drastic." "The agent is much more afraid of his own government than the transnational smuggler because they aren't only messing with the agents pay right now, they are telling him to run away from an assault. You know, if someone wants to fight, leave him alone. Don't shoot at anybody. They just told the local border patrol here that they aren't going to get any ammunition for their rifles until 2015. What's that about?"